Coupon Code: CHAMBRAYLOVE will drop the price of each shirt to $19.95 with FREE SHIPPING. 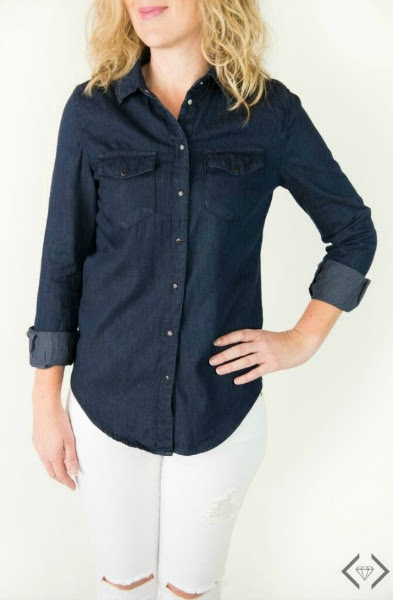 An awesome denim shirt is an essential for any closet and the Cami shirt can fill that need for you. This super soft shirt comes in three different colors and will become a go-to in no time at all. 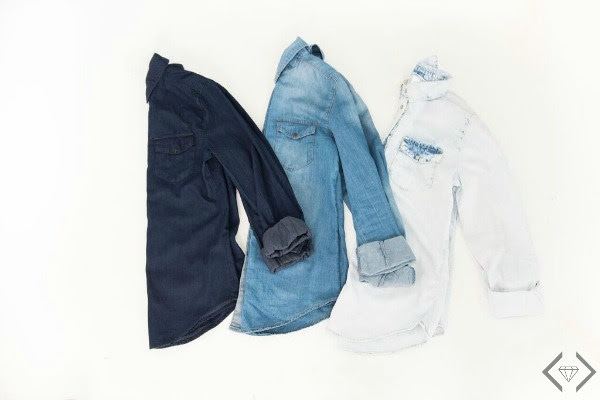 Pair any of these shirts with some great leggings or black skinny jeans. Denim shirt with snaps and two front pocket accents. Small: Width: 34", Sleeve: 18-1/2"
Medium: Width: 36", Sleeve: 18-1/2"
Large: Width: 38", Sleeve: 19"
X-Large: Width: 40", Sleeve: 19"